Abdallah was promoted to his current position in March 2013. The promotion came amid civil unrest throughout Egypt, including a strike by police and CSF conscripts; CSF director Maged Nuh was relieved of his duties, and Abdallah tapped to replace him, in a successful attempt to win back the rank and file in the CSF. As part of a major reorganization within the Interior Ministry, Abdullah was removed from his post and was appointed as Assistant Minister of Interior for the Training Sector. 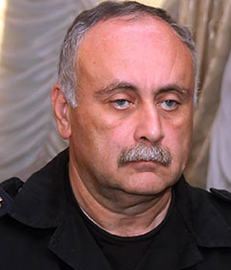 In November 2013, Abdallah defended the new protest law that was issued by the cabinet, saying that it was necessary to restore order and that the ministry would not reject reasonable requests to protest. He also lobbied for a new anti-terror law that was passed in the spring of 2014; the law would give the state more tools to confront the Brotherhood, which was labeled a terrorist organization in December 2013. In December 2013, he publicly committed to securing all churches during New Year’s and Christmas celebrations. Abdallah tried to walk the fine line between not occupying universities during a string of campus protests in the spring of 2014 and not abandoning the clearly overmatched campus guards. Previously, documents released by the Morsi government in April 2013 implicated Abdallah in excessive police brutality against protesters in February 2011 during initial anti-Mubarak uprisings in Suez.